In partnership with the National Park Service and Wharton Media, the Yosemite Conservancy has launched KeepBearsWild.org, a website designed to help educate Yosemite National Park visitors about the black bears that live in the park. The website has an online bear tracker, information to educate the public on what to do when they encounter bears, how to view bears in the wild, how to properly store food, photography and videos on the parks iconic black bears. According to the Yosemite Conservancy website, Conservancy grants of more than $1.2 million since 1998 have funded a variety of bear- management tools, including the creation of KeepBearsWild.org. Conservancy support has also gone to improving monitoring and tracking technologies, purchasing and installing thousands of bearproof food lockers, and funding research and educational programs. As a result of such programs, there has been a massive reduction in annual bear-related incidents in the park, from 1,584 in 1998 to fewer than 100 in 2016. Since 2014, Yosemite’s bear biologists have benefitted from previously unprecedented access to real-time spatial data of bears captured in the park and fitted with GPS collars. This high-resolution data that identifies the bear’s location has allowed park managers to better understand responses of bears to seasonal changes in the distribution of natural foods, as well as the lure of human food. Yosemite’s bear team has utilized this information to better strategize and manage park bears in near real-time and keep bears out of developed areas. 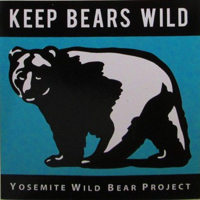 Visit KeepBearsWild.org and learn more about Yosemite’s black bears.